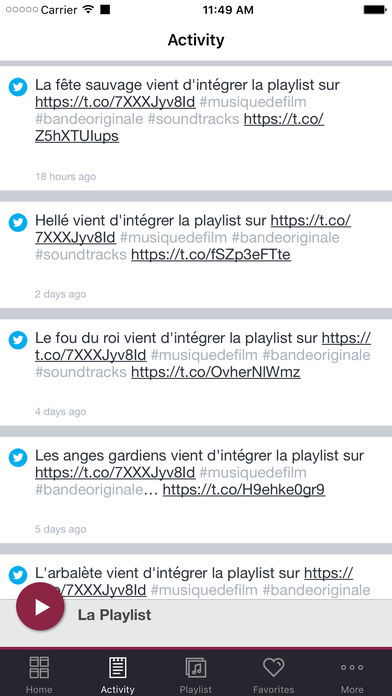 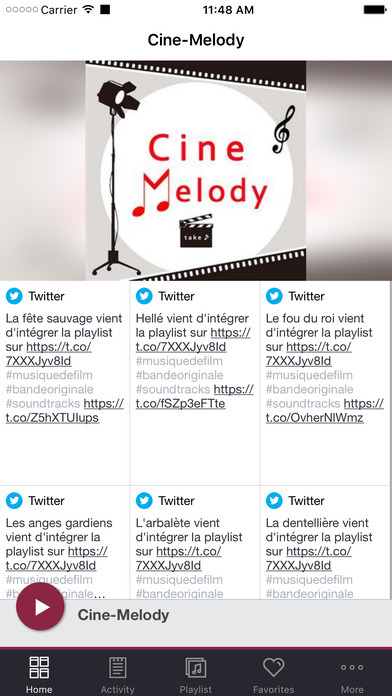 Cine-melody the first radio dedicated to the French movie soundtrack. 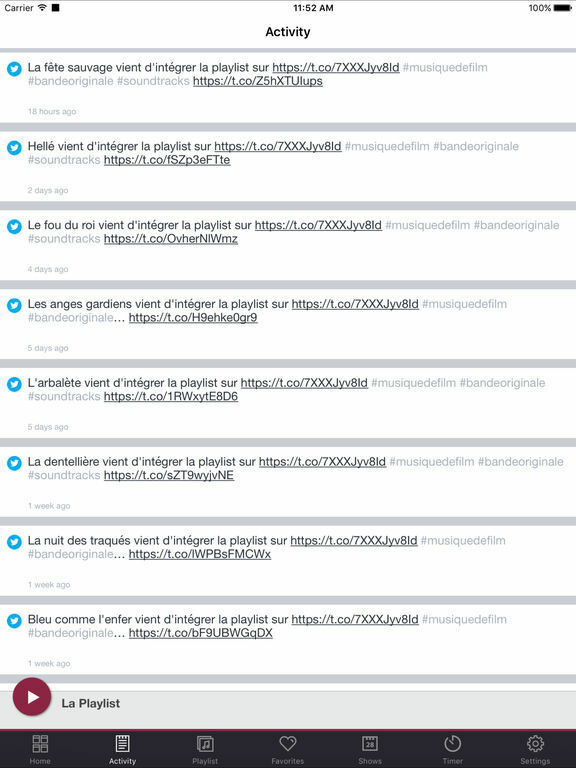 The greatest composers and all styles of French cinema are presents, comedy, adventure, romantic, nouvelle vague, thriller. 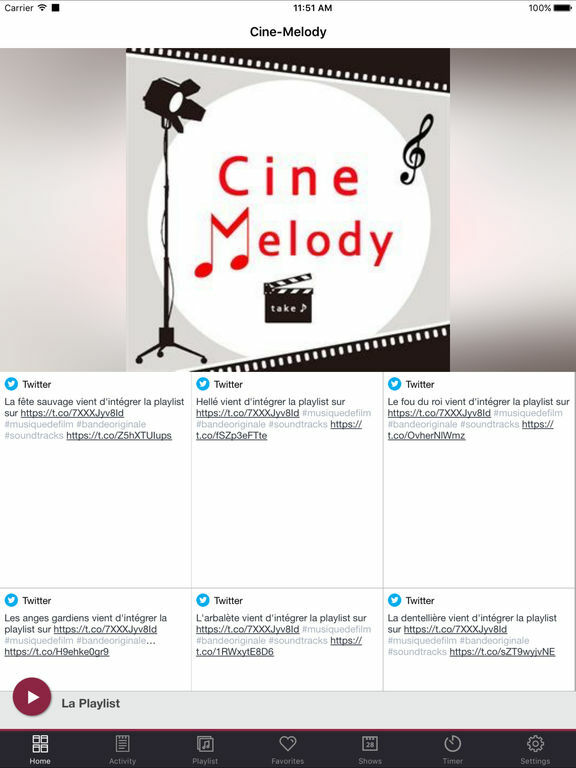 This application is the official, exclusive application for Cine-Melody under an agreement between Cine-Melody and Nobex Technologies.